IEEE Future Directions launched the IEEE 5G Initiative in December 2016. 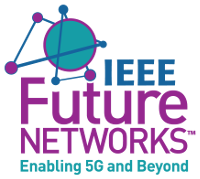 To better reflect the IEEE contribution to current and future generations of networking, the initiative was re-branded to IEEE Future Networks, with the tagline Enabling 5G and Beyond, in August 2018. The IEEE Future Networks Initiative will help pave a clear path through development and deployment of 5G and the great potential it enables, while envisioning the landscape of connectivity and applications beyond 5G. Recognizing that networking is larger than a single technology, standard, organization, or region, IEEE Future Networks is gathering the world’s researchers, scientists, engineers, and policymakers from industry, academia, and governments to solve the challenges and reveal the opportunities associated with current and future networks. The experts participating in IEEE Future Networks draw upon practical knowledge gained working with previous generations of networking and consider current trends of technology evolution to foresee the meaningful shifts coming our way. Will 5G serve best as a hotspot technology? Or, will the promise of 5G only be imagined after buildout? Is it time to change how we think about telecommunications generations – do we still need discrete generations or are we in an era of continuous change? These and many other technical, business, and policy topics are explored and addressed in the various activities of the IEEE Future Networks Initiative. Providing practical, timely technical and theoretical content in tutorials, webinars, podcasts, original technical articles, and externally published articles, all available on the web portal. Establishing a 5G and Beyond Technology Roadmap, which identifies short- (~3 years), mid- (~5 years) and long-term (~10 years) research, innovation, and technology trends in the communications ecosystem for the purpose of maintaining and continually enhancing a living document with a clear set of recommendations. Organizing and leading technical conferences and workshops, including a World Forum, the first of which was held 9-11 July 2018 in Santa Clara, CA, USA. More information about this conference can be found at the conference website. In collaboration with IEEE Standards Association, contributing to IEEE standards to address a breadth of networking areas, including wireless, small-cell and machine-to-machine technologies, dynamic spectrum allocation, front-haul and back-haul technologies, IoT, software-defined networking, network-functions virtualization, cloud and fog computing and networking, and more. A database of IEEE Standards related to 5G and future networks is continually updated with input from the community. The IEEE Future Networks Initiative is managed by a Steering Committee with activities carried out by a series of Working Groups enacting the goals of the initiative. Members of the IEEE Future Networks Technical Community gain access to extensive resources including publications, videos, articles, interviews, webinars, newsletters, workshops, and conferences as well as opportunities to participate in the growth and impact of the Initiative. The IEEE Future Networks Initiative is a program of IEEE Future Directions, and a broad cross-section of IEEE Societies are active participants and stakeholders. IEEE Future Networks calls on the world’s participants in all aspects of current and future connectivity to join together in collaborating to enable the historic transformation promised by 5G and beyond for the benefit of all. Join the IEEE Future Networks Technical Community. Michael Rice The field of interest of the IEEE Aerospace & Electronic Systems Society shall be the organization, systems engineering, design, development, integration, and operation of complex systems for space, air, ocean, or ground environments. These systems include but are not limited to navigation, avionics, mobile electric power and electronics, radar, sonar, telemetry, military, law-enforcement, automatic test, simulators, and command and control. Steve Best The field of interest of the IEEE Antennas and Propagation Society (AP-S) encompasses: antennas, including analysis, design, development, measurement, and testing; radiation, propagation, and the interaction of electromagnetic waves with discrete and continuous media; and applications and systems pertinent to antennas, propagation, and sensing. IEEE Communications Society (ComSoc) is a leading global community comprised of a diverse group of industry professionals with a common interest in advancing all communications technologies. Serving more than 60,000 members, the IEEE Computer Society is the trusted information, networking, and career-development source for a global community of technology leaders. Peter Corcoran The IEEE Consumer Electronics Society (CE Society) is an organization within the IEEE that strives for the advancement of the theory and practice of Electronic Engineering and of the allied arts and sciences with respect to the field of Consumer Electronics and the maintenance of a high professional standing among its members, which now number over 5000. The society has long been the premier technical association in the Consumer Electronics Industry. Mike Violette The IEEE Electromagnetic Compatibility Society (EMC) is the world's largest organization dedicated to the development and distribution of information, tools and techniques for reducing electromagnetic interference. The IEEE Components, Packaging and Manufacturing Technology Society (recently renamed the IEEE Electronics Packaging Society) is the leading international forum for scientists and engineers engaged in the research, design and development of revolutionary advances in microsystems packaging and manufacturing. Its objectives are scientific, literary, and educational in character. The Society strives for the advancement of the theory and practice of electrical and electronics engineering and of the allied arts and sciences, and the maintenance of a high professional standing among its members and others and with special attention of such aims within the field of interest of the Society. The field of interest for the IEEE Electron Devices Society (EDS) is all aspects of engineering, physics, theory, experiment and simulation of electron and ion devices involving insulators, metals, organic materials, plasmas, semiconductors, quantum-effect materials, vacuum, and emerging materials. Specific applications of these devices include bioelectronics, biomedical, computation, communications, displays, electro and micro mechanics, imaging, micro actuators, optical, photovoltaics, power, sensors and signal processing. Carole Carey The IEEE Engineering in Medicine and Biology Society (EMBS) is the world’s largest international society of biomedical engineers. The organization’s 11,000 members reside in some 97 countries around the world. EMBS provides its members with access to the people, practices, information, ideas and opinions that are shaping one of the fastest growing fields in science. 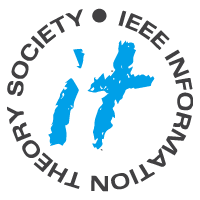 The IEEE Information Theory Society encompasses the processing, transmission, storage, and use of information, and the foundations of the communication process. It specifically encompasses theoretical and certain applied aspects of coding, communications and communications networks, complexity and cryptography, detection and estimation, learning, Shannon Theory, and stochastic processes. The IEEE Instrumentation and Measurement Society (IMS) is dedicated to the development and use of electrical and electronic instruments and equipment to measure, monitor and/or record physical phenomena. Learn more about IMS involvement in Future Networks. 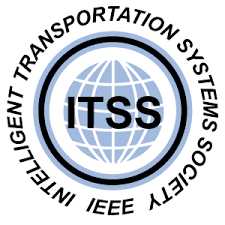 The IEEE Intelligent Transportation Systems Society (ITSS) advances the theoretical, experimental and operational aspects of Electrical Engineering and Information Technologies as applied to Intelligent Transportation Systems (ITS). Learn more about ITSS involvement in Future Networks. The IEEE Photonics Society forms the hub of a vibrant technical community of more than 100,000 professionals dedicated to transforming breakthroughs in quantum physics into the devices, systems and products to revolutionize our daily lives. From ubiquitous and inexpensive global communications via fiber optics, to lasers for medical and other applications, to flat-screen displays, to photovoltaic devices for solar energy, to LEDs for energy-efficient illumination, there are myriad examples of the society’s impact on the world around us. The IEEE Power & Energy Society (PES) provides the world's largest forum for sharing the latest in technological developments in the electric power industry, for developing standards that guide the development and construction of equipment and systems, and for educating members of the industry and the general public. Members of the Power & Energy Society are leaders in this field, and they — and their employers — derive substantial benefits from involvement with this unique and outstanding association. The Reliability Society is a technical Society within the IEEE, the world’s leading association for the advancement of technology. We are a volunteer group of professionals engaged in assuring reliability in the engineering disciplines of hardware, software, and human factors. The RS is focused on the broad aspects of reliability, allowing us to be seen as the IEEE Specialty Engineering organization. We are concerned with attaining and sustaining these design attributes throughout the total life cycle. We have the management, resources, and administrative and technical structures to develop and to provide technical information via publications, training, conferences, and technical library (IEEE Xplore) data to both our members and to the Specialty Engineering community. Zhi Ning Chen The IEEE Council on Radio Frequency Identification (CRFID) advances and coordinates work in the field of radio frequency identification. Founded as IEEE’s first society in 1948, the IEEE Signal Processing Society is the world’s premier association for signal processing engineers and industry professionals. Learn more about SPS involvement in Future Networks. 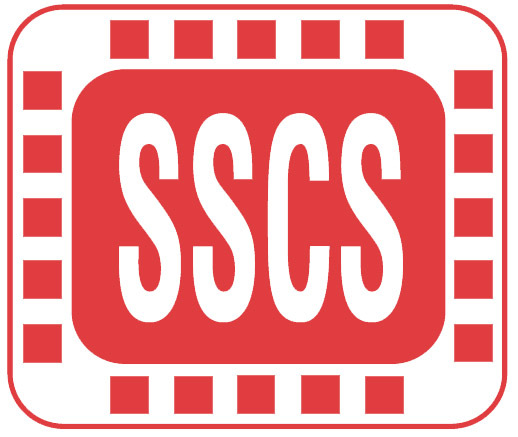 Aarno Parssinen With over 9,000 members around the world, the IEEE Solid-State Circuits Society (SSCS) focuses on fabricated integrated circuit designs for all applications using relevant materials and interconnections. IEEE Standards Association (SA) provides a global, open, and collaborative platform for wireless communities that engage in, and enable the development of new, innovative, and relevant use cases and standards. Learn more about IEEE-SA involvement in Future Networks. IEEE Technology and Engineering Management Society (TEMS) is a society that focuses on the challenges of moving from a technical concept into product. This includes management practices and skills and methodology particularly useful for industry. TEMS intends to be a key bridge between industry challenges and needs with the resources available with the IEEE and its programs. It creates programs to establish an IEEE resource for industry professionals and academic researchers to engage the issues that face organizations and individuals in a dynamic, demanding and constantly evolving economic environment. Learn more about IEEE TEMS involvement in Future Networks. IEEE Vehicular Technology Society (VTS) covers mobile radio as well as automotive electronics, with a particular focus on transmission technologies. It is also supporting an initiative on connected vehicles. Learn more about IEEE VTS involvement in Future Networks.